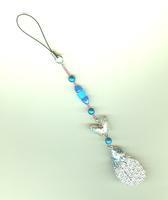 Ocean coloured glass beads accent this lovely handmade cell phone lanyard. The piece can also be used as a zipper pull or to embellish a belt loop or the like. 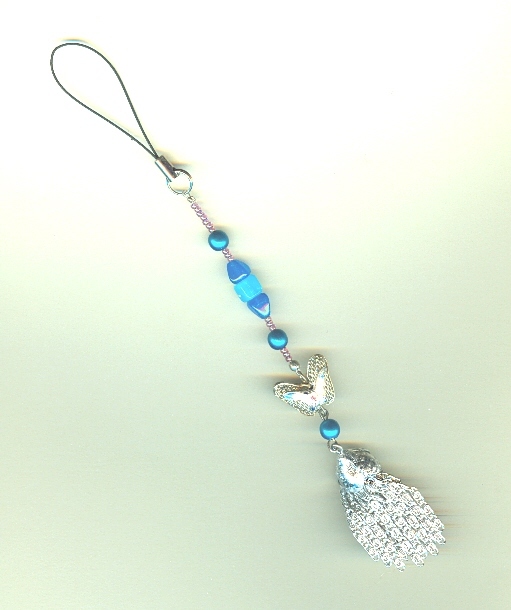 It features a silver plate cloisonne butterfly and a chain tassel. The overall length is roughly 7-1/2 inches. It?s another ultra-feminine gift idea from SPARKLE PLENTY.